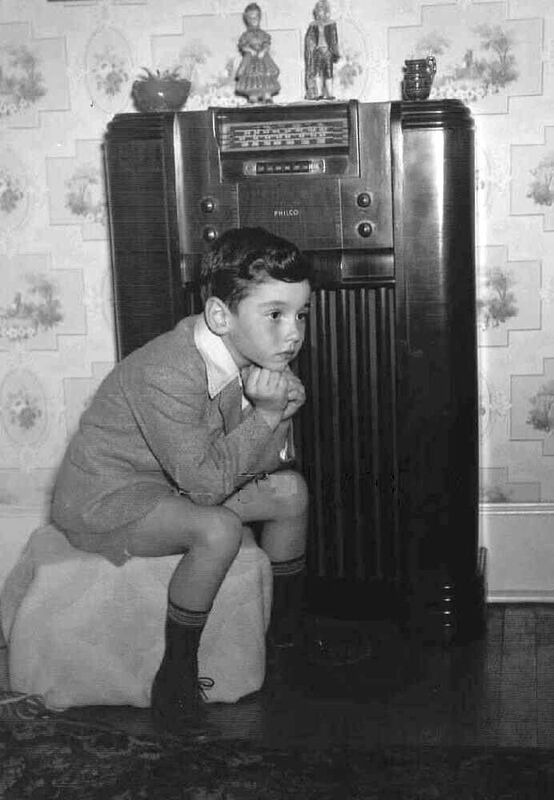 Friends, you won't want to miss my latest interview on WLEA 1480's Newsmaker program. We discussed the wave of harassment that liberals (led by firebrand Trump-hater Maxine Waters) are now directing at Republican elected officials and Trump appointees, including Sarah Sanders, Pam Bondi, and Kirstjen Nielson. 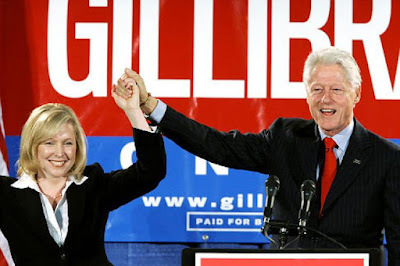 (Funny how Republican women are always in the firing line.) We also considered the Supreme Court's vindication of President Trump's travel ban, Brexit, Europe's migrant crisis, and Hillary Clinton's latest grousing about the results of the 2016 Presidential election. Check it out! Friends, have you noticed how the Left's talking points are increasingly reliant not on rational arguments but appeals to crass emotionalism? The critique (if it can be called that) of President Trump's "family separation" policy was a notable case in point. How the mighty are fallen, I say. It's inconceivable that Walter Cronkite or even Dan Rather in his prime would have hidden behind a crying child instead of making a rational argument about the issues of the day. No more. It's a race to the bottom, and the bottom, it appears, is replete with bawling youngsters. Expect to see a lot more of them in primetime. It seems that, having exhausted all rational and pseudo-rational arguments – without having made even a small dent in Republicans' support for President Trump – leftists are increasingly reducing their talking points and their life philosophy to one simple idea: Donald Trump is despicable because he makes babies cry. How, you may well ask, did we get to this point in our national discourse? It is particularly remarkable given how fond liberals are of reminding us of their superior intelligence and unfailing devotion to “logic”. Both points are belied by what we have seen in recent weeks. One could argue that, when the great machine of leftism can only continue to function by lubricating itself with children's tears, this is a sure sign that the movement has become truly desperate. This may be true, and yet the recent fixation with (misleading and even staged) images of miserable kids at the U.S.-Mexican border is arguably just a further elaboration of a long-dominant theme in leftist politics: the cult of the victim. Surely, liberals opine, whomever has suffered is entitled to our sympathy, and to some kind of restitution. (You can see why trial lawyers lean left!) Since, moreover, leftists invariably think in terms of groups, for them the primacy of victimhood means essentially this: they should have a monopoly on deciding which groups are most deserving of compassion, indulgence, and gratification, based on their relative positions in the hierarchy of suffering and oppression. Now, if one buys into this spurious logic, then needless to say it becomes extremely important for each group to make its claims to victimhood as loudly and as emotively as possible. And so we find ourselves witnessing, to our universal consternation, a nightly parade of crying babies in our “news” broadcasts. Nothing could make greater sense, from a leftist perspective. But why illegal immigrants? Surely the Left could find a group better suited to victim/hero status than a mass of people united by no common bond except their failure to adhere to U.S. immigration laws... Not necessarily! Illegal immigrants have long appealed to the Left as an aggrieved minority. The fact that they are potential voters and usually reliable Democrats doesn't hurt their cause, of course, but it is their robust victimhood and sheer downtroddenness that really earns the liberal's respect. Nonetheless, the Left's current position – that no illegal immigrant parent should ever be separated from his or her child, when U.S. servicemen as well as Americans charged with crimes are accorded no such accommodation – is an extraordinary logical leap, even if, like a good liberal, one assumes that “victims” should have superior rights to “oppressors”. Again, though, one must understand that it isn't logic that sustains this thinking in the first place. It is instead the drumbeat repetition of images (and even audio clips) that drive home the fundamentally emotional message: Trump's policy at the border is different, and obscenely wrong, because it produces the palpable effect of sobbing children. People who choose to make children sad, moreover, are monsters. Thus, Trump is the worst of the worst and the lowest of the low. The evidence of bawling toddlers only confirms what leftists already know to be true. 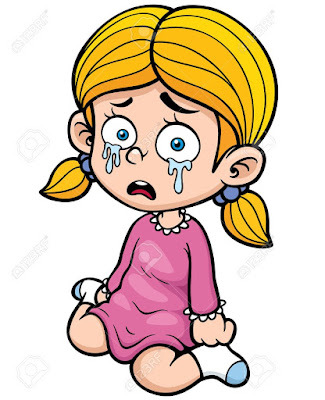 The natural rejoinder to this strange species of sentimentality is this: lots of things make children cry, and lots of children are crying, both in this country and in others. Why, then, does the suffering only of the children who can credibly be called victims of Trumpism merit our attention and remedial action? As “Angels Moms” demonstrated on Friday, June 22nd in an event hosted by President Trump, a strong case can be made that illegal immigrants can just as easily be the cause of misery, both for children and adults, as they are victims of mistreatment. Angel Moms are U.S. mothers who have lost children to illegal alien criminals. Surely they, who have been permanently separated from their kids (at least in this life), have an even greater claim to public sympathy than those temporarily detained at the border, no? No, indeed, as the mainstream media sees it, because crimes committed by illegal immigrants are a non-issue. Why? Because to mention them makes advocates of “undocumented immigrants” sad and/or angry, and clearly we can't have that. Some tears, it seems, are worthier than others. 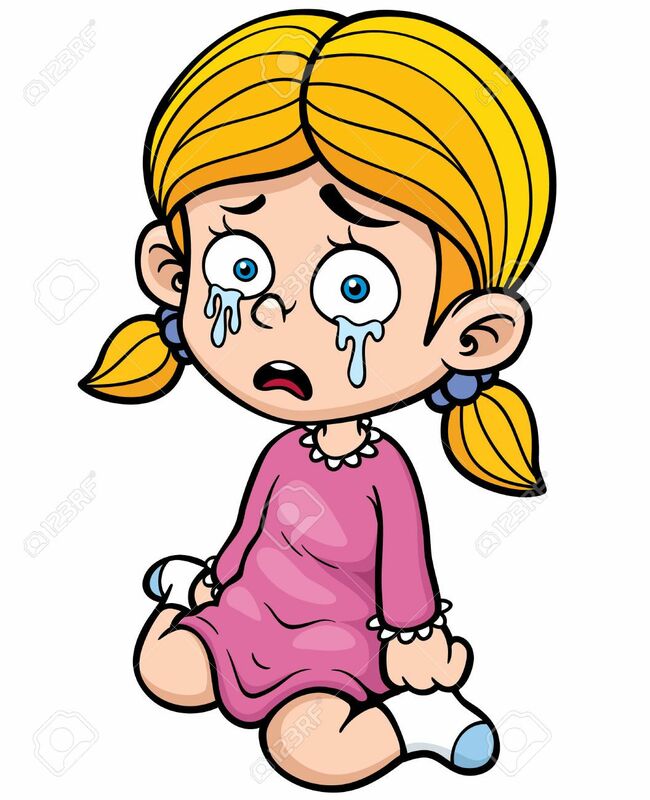 The broader implication of the Left's politics of despair is, of course, that conservatism, Republicanism, and nationalism all yield an aggregate quantity of crying children (and adults) far greater than that produced by, say, liberalism, political correctness, and socialism. In fact, though, there is not a shred of evidence to support this generalization. There are actually plenty of reasons to speculate that the opposite might be true. The 100 million people killed by Marxism in the 20th century, for instance, presumably engendered a fair amount of despondency among their loved ones. On a lesser scale, the job losses and economic and social dislocation fostered by the waves of illegal immigration and one-sided trade deals beloved by liberals have also, one assumes, caused more than a few Americans, including children, to bemoan their fates. And yet, for some strange reason, the raw negative emotions produced by left-wing fiascos has never been considered newsworthy. C'est la vie. To argue the same point from another perspective, how many Americans, including children, have been cheered by Donald Trump's election and its innumerable positive ramifications? How many children on the Korean Peninsula, and beyond, may sleep more soundly, may shed fewer tears, because of President Trump's decision to pursue denuclearization and a rapprochement with Kim Jong-un? How many children, adolescents, and young adults have been heartened to see job prospects improve, both for them and for their parents, because of the booming economy that Trump presides over? How many children walk to school or play in neighborhood parks with a greater sense of safety and well-being, because the Trump administration is vigorously deporting MS-13 thugs, instead of making excuses for them and shielding them from immigration authorities, as liberal “sanctuary” mayors and governors do every day? How many children have been liberated from stultifying, crime-infested public schools, and instead were able to attend private or religious schools, or be home-schooled, because of the farsighted policies of this administration? And, at the end of the day, how many children may, if Trump gets to appoint even one more Supreme Court Justice, experience the joys of life itself, because they were saved from abortion-on-demand? It is not hard, as we see here, to argue that it is liberals and the Democratic Party that are the true enemies of children, and the more reliable instigators of their tears. In truth, though, these are still the arguments of sentimentalists and hucksters. They carry little weight, rationally speaking, because they are overwhelmingly based on anecdotes and emotional manipulation, not hard evidence and a balanced consideration of pros and cons. They are, in other words, the arguments of children, and those who think like them, not mature adults. Which party, then, is the true champion of happiness, and which is the architect of torment and grief? That is a question best left to philosophers and theologians, not pundits and reporters. They may be experts at exploiting human emotions, including grief, but when it comes to identifying the true sources of joy and fulfillment, and of gloom and agony, they are at best only as insightful as all the rest of us mere mortals. Let us hope, therefore, that, in future they will stick to reporting the facts and keep their preaching to themselves. And here's the American Greatness version! 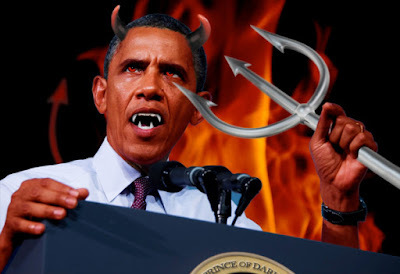 When All Else Fails, Liberals Turn To..."Demons Of The Infernal Realms"??? Friends, if there's one thing I love about liberals, they're just so adorably absurd! Witness this article about a planned campaign to rid the world of President Trump by a mass invocation of witches' curses against him. React as you deem suitable: guffaw, pray that God may protect and guide our President, shake your head at the lofty heights of self-righteousness to which the leftist mind can ascend... What a world we live in, eh? I'll say this for Donald Trump: his detractors are a rogue's gallery of wingnuts, demagogues, and socialists. That makes me doubly glad I voted for him, and doubly thankful that he won! Friends, I have some captivating sideshows for you today. First, ever wondered what became of that feminist professor who wrote the stridently anti-male WaPo op-ed that I posted a few days ago? 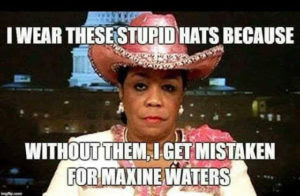 Seems she's an embarrassment even to her leftist colleagues. That's heartening, but it's only because she states her prejudices so baldly. Prejudice itself is quite normative on the Left. And check out this story about a communist who tried to become an officer in the U.S. Army! 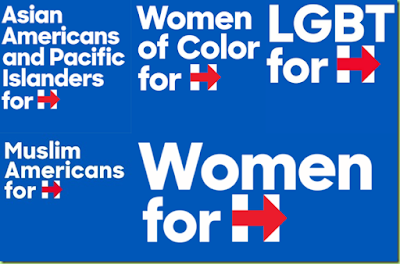 It takes all kinds, but this was never going to work...unless, I suppose, Hillary had won the election. Then perhaps he would have been made a five-star general? Lastly, consider this article, about a (lone) Democrat who laments the divisiveness of identity politics. Of course, he's 100% right, which is a sure sign he won't win the Democratic nomination for Governor of Wisconsin. In fact, expect him to discover he's actually a Republican within a few years. 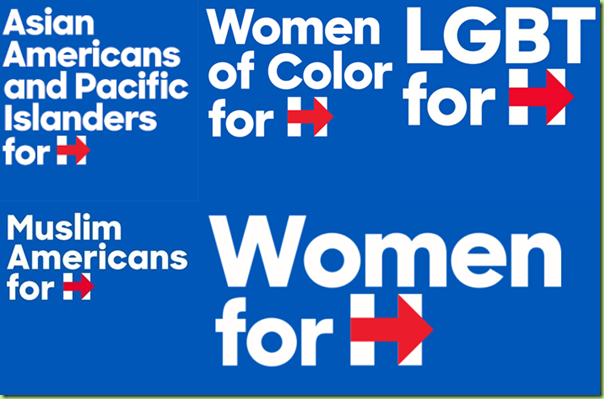 Make no mistake -- the Dems are absolutely addicted to identity politics, as is academia. You wouldn't believe the lunacy that this can sometimes engender. The upside is that the Left can never agree on whose victimhood is the most excellent of all. To put it another way, occasionally people of color, women, gays, Muslims, transgender folks, and the disabled don't all think the same way, and then what's a lefty to do? Tie themselves in knots, naturally. Friends, although it may not be at the top of the news, this first story is a humdinger. You may be inclined to scoff at it, but I believe President Trump deserves credit for understanding the importance of space not just to America's future, but to the future of our species. It's symbolic that Barack Obama killed the space shuttle, and temporarily throttled our manned space program, but Donald Trump is breathing new life into it. 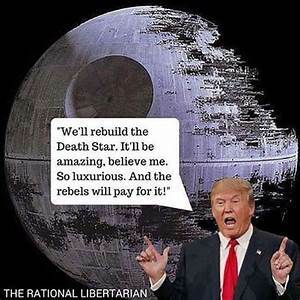 We may not be building death stars anytime soon, but a "Space Force" is definitely on the horizon. In many ways, we already have one -- it's just a function of the Air Force at the present time. Keep your eyes pointed heavenward, because we're going to see some amazing accomplishments in space in the next generation. Trump won't be responsible for all of them -- the private sector is also pitching in -- but he is leading the way. Lastly, some of you may be wondering what's going on at the border -- are we really separating children from their parents, and why? The short answer is that, yes, many children of illegal immigrants are being separated from their Moms and/or Dads, but that's because the Trump administration is choosing to apply the law to illegal immigrants and prosecute them for illegally crossing the border. The Democrats say, "Psh! That's a choice, you monster. We never would have done that." Touche! It's true: Democrats would simply have ignored that law, as they ignore so many others when it suits them. 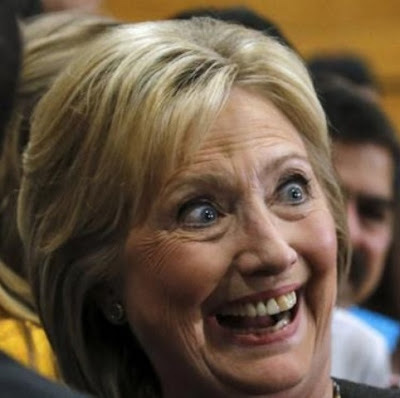 Can you imagine the flood of illegal immigration we would be dealing with if Hillary had won??? It beggars belief. At least the Trump administration is TRYING to discourage and punish this illegal form of migration. I applaud their efforts to do so. These three articles might help you to form an accurate picture of what's going on at the border. As you will see, the truth is not all that CNN and MSNBC would have you believe. 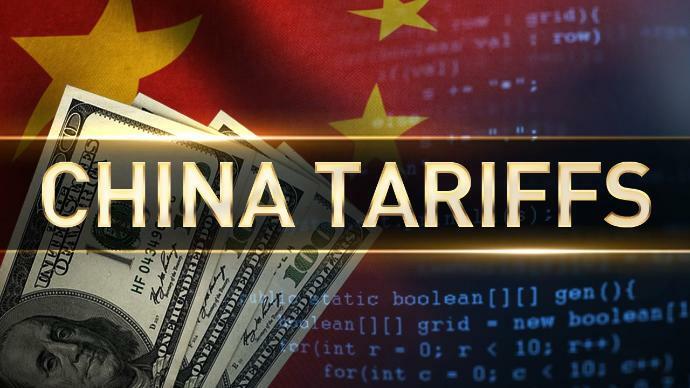 Friends, it's "game on" with China, as President Trump has decided to pull the trigger on billions of dollars in tariffs. Make no mistake: the goal here is not to isolate us economically. It is instead to get the Chinese to wise up and start treating us fairly. Give and take -- that's what a healthy trading relationship should look like. Here's hoping these tariffs will achieve the desired result, and quickly too. Friends, today we celebrate, because the WaddyIsRight commentating empire has reached a special milestone: 10,000 page views!!! I (literally) couldn't have done it without you. Thanks to all of my fans, critics, and even those who stumbled across the page by accident, expecting to find waddling ducks or right-handed baseball gloves. Every little bit helps! In all seriousness, I've enjoyed getting to know each and every one of you, and our conversations are one of the best parts of my day. Please know that when I call you "friends," it's not an affectation. Onward and upward! As a reward for your loyalty, please accept this link to my latest radio interview on the Newsmaker program of WLEA in Hornell. Brian O'Neil and I talk about North Korea, the G7 summit, George Soros, and more! Friends, at the risk of causing a few of you to blow your tops, you might wish to read this article, remarkable for its sheer outrageousness. 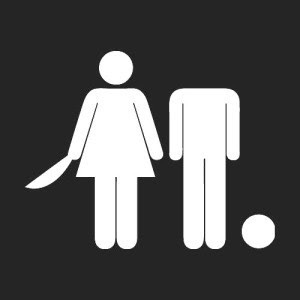 It argues that women are justified in despising men, and men better straighten up and fly right soon if they know what's good for them! They should also prostrate themselves before the rising tide of feminism and give up all positions of power. (Side note: all good progressives believe that gender is a social construct, not a fixed biological reality, but for some reason it still makes sense to denigrate "men"). Would such an article be published by the Washington Post if it were ruminating about the flaws and obnoxiousness of women, or gays, or black people? Silly question. Only the lowest of the low -- men, for instance -- get that kind of treatment... Make no mistake: this is bigotry, dressed up as social commentary. Also, you might want to read this article, which concerns CNN's Jim Acosta and his latest deviation from professionalism. If we are EVER to get serious about holding the media to a higher standard, surely this man needs to lose his credentials, no? Friends, having already pushed Russia out of their exclusive club (turning the G8 into the G7), now the global elite wants to give the U.S. the boot as well -- all because Trump has the unmitigated gall to stand up for the American worker and demand fairer trade terms. Well! I say Trump's attitude is a breath of fresh air, and my latest article explains why. 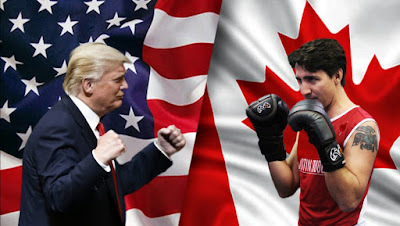 The recent meeting of the “G7” leaders in La Malbaie, Quebec ended dramatically, with the Canadian Prime Minister Justin Trudeau harshly criticizing U.S. tariffs on steel and aluminum and threatening to retaliate. President Trump then instructed U.S. negotiators not to sign the communique that was issued at the conclusion of the summit. Predictably, global elitists have reacted with the usual horror, and with customary disdain for Trump. According to the New York Times, we are witnessing a “slow-rolling collapse” of our “fragile alliances”. Trump is frivolously up-ending the global order, we are told, and alienating countries that have traditionally been our closest friends and partners. The talking heads may have backed off on their threats of apocalyptic “trade wars” (perhaps because strong economic growth rates and the ongoing buoyancy of the stock market make their predictions of doom seem laughable), but they are still clutching at the idea that we are witnessing a “fundamental” shift in the prestige and influence of the United States, and a steady worsening of our relationships with almost all civilized countries. There is even talk that the G7 has become the “G6+1” as the U.S. goes it alone. The problem with these arguments is that, first, they are entirely self-serving, insofar as the global elite always chafes at the effrontery of populists like President Trump, and it invariably seeks to defend its own privileges and prerogatives by labeling all criticism of the established international economic order “protectionist” or “isolationist”. 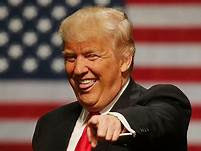 In fact, seldom do the elitists even bother to address the substantive complaints made by Trump (and others like him) about the unfairness of existing trade deals – they simply wag their collective finger at anyone boorish enough to question the present regime of “free trade”. Trading relationships ought to be susceptible to criticism and revision, however, and, when the people of a sovereign state vote to empower a new leader who embodies such criticism and reformist zeal, his election should have consequences. The elite talks as if the vicissitudes of something as shabby as democracy should not be allowed to affect our sacred trade agreements. Nonsense! To add insult to injury, G7 members are actually targeting their retaliatory tariffs against the United States on industries and enterprises concentrated in states that voted for Donald Trump. In other words, they seek to manipulate democracy itself and foster political headaches for those who dare to question the world order. This is simply outrageous, and it ought to raise the hackles of any American patriot. Second, the idea that President Trump is doing permanent damage to our relations with our traditional allies flies in the face of a mountain of evidence that Trump has formed productive, respectful working relationships with numerous world leaders, from President Macron of France to Prime Minister Abe of Japan. Moreover, we should keep in mind that our ties with other powerful, wealthy nations are always troubled by tensions and disagreements, and, in the post-WWII era as a whole, many of these differences of opinion have been far more serious and dangerous than the current spat over trade barriers. Lest we forget, Messieurs Trump and Trudeau are currently duking it out largely over the price of milk. It seems unlikely that U.S.-Canada relations will be permanently scarred by so trivial a dispute. Lastly, the critique of Trump's performance at the G7 summit is misplaced because Trump is actually doing both the American people and the citizens of all the G7 nations a great service: he is drawing attention to the deficiencies of past trade agreements – deficiencies that have in many cases cost jobs, shuttered factories, and abetted many a populist backlash against elitist economic manipulation. Trump does so not because he wishes to curtail trade, but in order to build it up on a sounder basis. Trump has made it abundantly clear that he supports free trade, but not biased trade deals that require openness on the part of some and allow tariff and non-tariff barriers for others. The truth is that the leaders of the international economic order have long lived a lie: they pantomime unfailing devotion to “free trade,” while at the same time overtly and covertly carving out exceptions for their preferred industries. The result is a half-hearted form of free trade that rewards sly negotiation and punishes naive idealism. As Trump suggests, all too often it is the United States that has been the most naive, accepting a trading regime that institutionalizes massive trade deficits and millions of lost jobs. In 2014, the U.S. had a $142 billion trade deficit with the countries of the European Union, and a $35 billion deficit with Canada. Essentially no one believes that this is because American companies can't compete with their overseas rivals – it is instead manipulative, predatory trade practices that explain the imbalance. Why, then, should the U.S. not try to re-balance this equation in its own interests? More broadly, though, will it not benefit all the nations concerned if we find a new formula for trade that limits job losses and de-industrialization, and that finds favor with voters anxious about their economic futures? To achieve such a trading rapprochement, the U.S. should even be willing to make concessions of its own. After all, we too are sometimes guilty of using subsidies and non-tariff barriers to insulate our industries from foreign competition. If G7 countries believe their own rhetoric about free trade, surely they will be willing to meet us halfway and cooperate in the elimination of surviving trade barriers...unless, that is, they prefer to thumb their noses at Donald Trump on principle. In the end, for seeking the amelioration of a broken trading system, Trump should not be seen as an enemy of the established order, but rather as its would-be savior. His suggestion to his fellow leaders in Quebec that he would ideally like to see the elimination of all tariffs throughout the G7 economies is a testament to his dedication to the principle of free trade, and his belief in the transformative power of capitalist competition and development. The fact that Trump is clear-eyed about the pressing need for reform in our trading relationships makes him a realist, yes, but not the protectionist boogeyman that the mainstream media, and its international fellow-travelers, portray. The truth is that the global economic elite faces a choice: take Trump (and the tens of millions of voters he represents) seriously, and repair and refit the damaged infrastructure of “free trade,” or mock and ignore him, insuring that the wave of economic resentment and protectionist sentiment that has seemingly been cresting for years now will build into a true tsunami. Friends, this article is an excellent summary of "how we got here" in the Trump-Russia collusion delusion. The mileage the Left has gotten out of this nonsense is extraordinary, but it's also a testament to how resourceful, inventive, and underhanded the Deep State and its liberal allies can be. The miracle is that their machinations didn't work!!! Why? Frankly, I think one reason is that their Trump-Russia narrative got swept aside in October 2016 by the sexual harassment-Access Hollywood narrative, which at the end of the day was a he-said-she-said affair that didn't do enough damage to Trump to prevent his election. Thank heavens! An All-American Radio Spectacular (Approved by the Ghost of Ike)!!! Friends, this week I was privileged to be interviewed once again by Mr. Brian O'Neil on WLEA 1480's Newsmaker program. 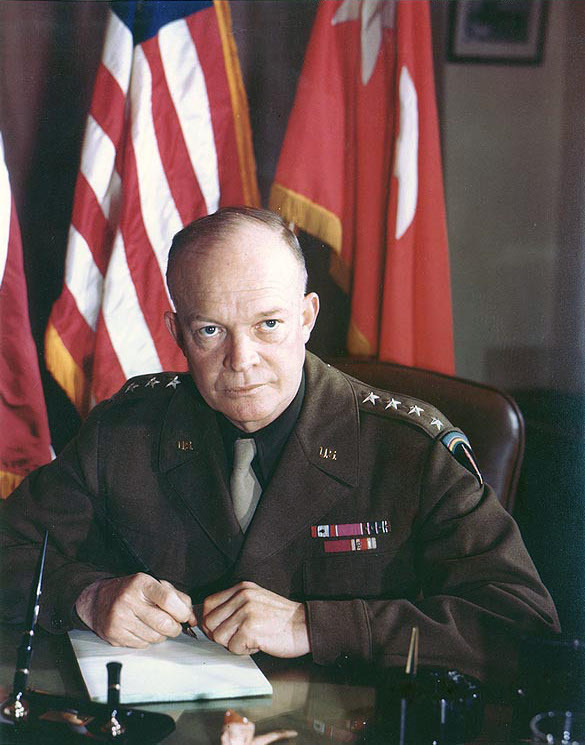 Since the interview happened to fall on the anniversary of the D-Day invasion of Normandy during WWII, we talked a bit about the success of that operation as well as the failure of U.S. strategy in the conflict. What do I mean by that? We won the war, yes, but we did so in such a way that we handed half of Europe over to Stalin. Let's hope we never see another victory as costly as that again! In addition to WWII, Brian and I talked about the assassination of RFK, Bill Clinton's Monica Lewinsky problem, the resurrection of the summit with North Korea's Kim Jong-un, and much, much more! Don't miss it. 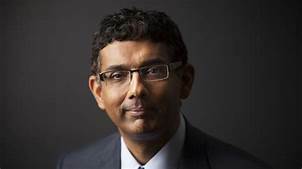 Friends, you might want to read this article, which is an explanation by Dinesh D'Souza of how his recent pardon came about. If what he says is the straight skinny, it's a classic case of political prosecution -- nay, persecution. It's also a good reminder of how easy it is to pervert the justice system and turn it against one's political enemies. Granted, Dinesh broke the law, and he should have faced punishment, but the punishment must fit the crime, no? And the prosecution itself should not begin with a political agenda. 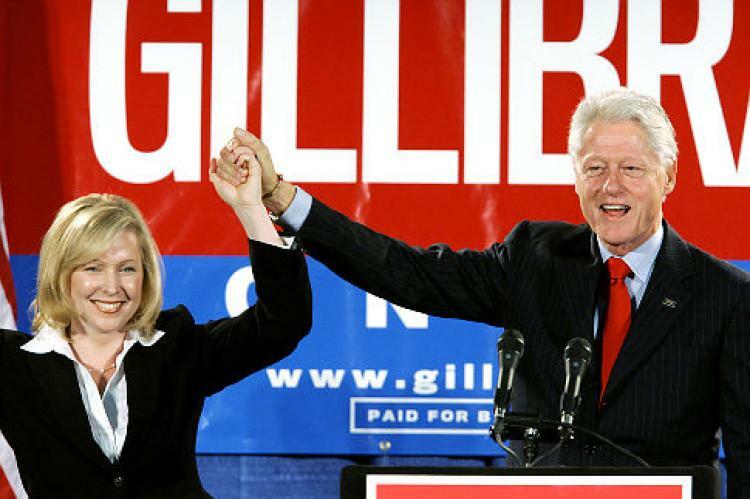 Bill Clinton spoke long ago of the "politics of personal destruction", but in truth what is happening now makes the dirty politics of the 90s seem like child's play. Make no mistake -- if you're a conservative, and you're outspoken, someone on the Left is gunning for you. Stay on your toes -- that's my advice, and keep out of trouble, because the slightest infraction, for someone with the "wrong" politics, could be devastating. The Official WaddyIsRight Endorsement in Colombia's Presidential Election: It's Duque! Friends, as I travel through the beautiful land of Colombia, it strikes me that this country has made incredible progress since the bad-old-days of leftist rebellions and drug-related carnage in the 80s and 90s. Violence is way down, tourism is way up, and people are fleeing to Colombia rather than from it. These are all great indicators, but now all that progress is in jeopardy, because Colombia could elect a leftist leader on June 17th: Gustavo Petro. Colombians are rightly fearful that Petro could inflict Venezuela-style chaos on the nation, and that is the last thing they need. 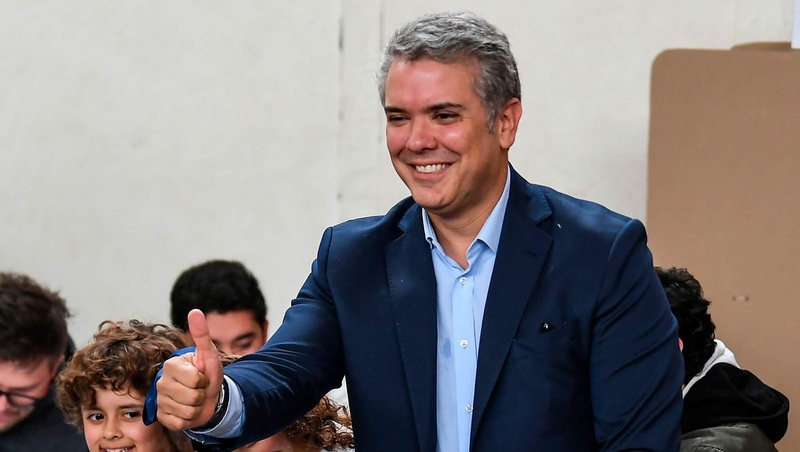 Duque, by contrast, is the candidate of the Centro Democratico -- the party that has led the nation away from violence and towards prosperity and progress. Colombia has been a reliable partner for the United States as well. In short, there is no need for Colombians to change course, and, even if they do want a fresh face and a candidate outside the corrupt establishment, Duque still represents a sounder choice. Colombians -- say no to Petro, and yes to Duque! A tough approach to crime and political violence, and an openness to capitalist development and international investment, have gotten you this far. Stay the course.